The Telegraph Ski & Snowboard Show took place over the weekend and we really enjoyed getting to meet so many amazing companies that share our passion for the mountains. We’ve put together a few of our favourites from the weekend for anyone that didn’t get the chance to make it down. Designed and developed in Chamonix, these are skis that really have the mountains at their heart. These skis have a really fun colourful design that caught our eye really quickly and we were really interested to learn more about them. A particular favourite of ours was the H-95, a versatile freeride option that is also available as the H-95 Lady for all those ladies who want to charge just as hard as the men! Zag also offer a customisation platform for select models, so that you can really make your skis your own. What’s not to love! If you missed them at the Ski & Snowboard Show, never fear, they’ve got a store in Chamonix so if you’re out there this season, be sure to stop in. For all those skiers who have ever complained about how much more uncomfortable ski boots are, this one is for you. With a removable exoskeleton, Dahu Boots really have to be seen to be believed and were drawing a lot of attention throughout the Ski & Snowboard Show weekend. 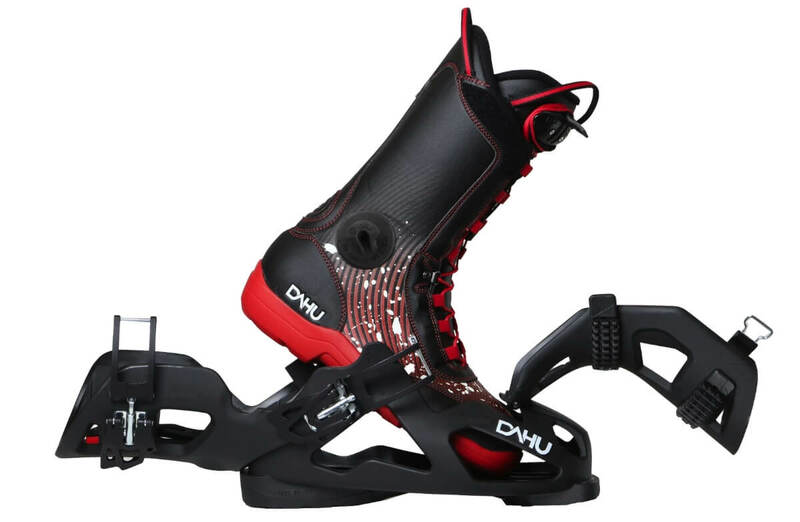 Tapping into the fact that ski boot design has been mostly unchanged for the last 40 years or so, the guys over at Dahu wanted to make a boot that would really shake up the market. They have definitely delivered. An impressive, well performing ski boot, these will keep you happy all day. Then, when you decide it’s time for a boogie, simply detach the outer skeleton and party on in comfort. These boots are great on piste, and even greater off it – the ideal apres-ski companion. We think that Dahu have got a really great idea here, which will make a lot of skiers VERY happy. With Brethren Apparel, the focus is on quality, and on this they definitely deliver. We were drawn in by the brand’s famous ‘Thug Rugs’ which can go either over or under your helmet to keep you warm while you stay well protected. These come in a huge variety of colours and patterns, some of which are super funky and a lot of fun. 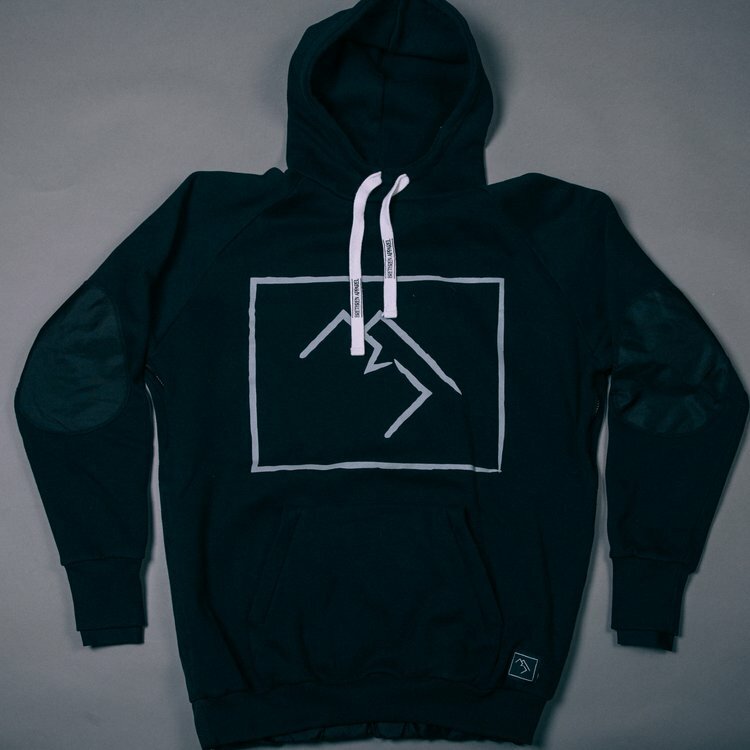 We also really love the Shredduh Hoodie 2.0, brilliantly thick with a ‘kevlarse’ to keep you going season after season. The quality of all Brethren Apparel’s garments is hugely impressive considering the very reasonable prices, and we could happily have spent hours at this stall! It’s all UK made and there’s lots of awesome stuff in the pipeline with this brand so definitely keep an eye on Brethren Apparel this season. Some of the most beautiful skis I ever did see; these are skis that you will want to tell all your friends about. Born out of a love for backcountry skiing, Pure Freeride Design (Pfd) offer bespoke skis with a huge focus on quality rather than quantity. A limited number are made each season, each pair made with an abundance of passion and precision. 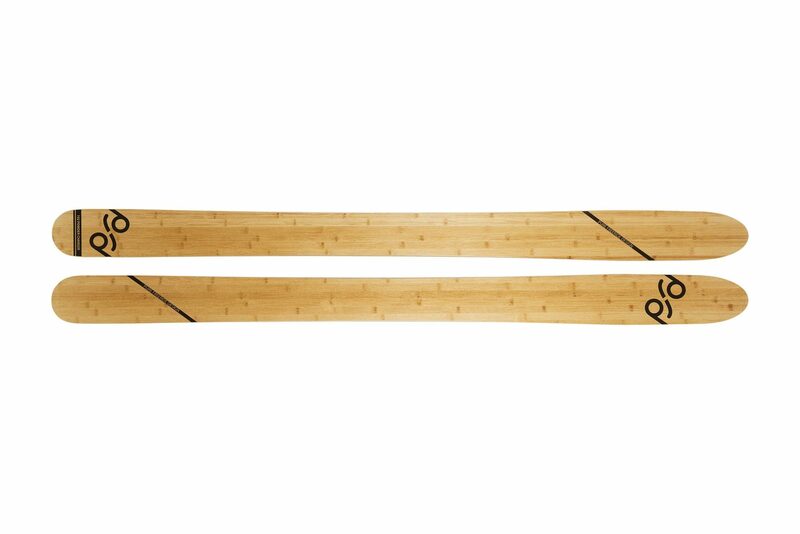 70% of the ski’s construction contains bamboo, which adds to their unique and original appeal. Available in 3 models (all mountain, big mountain and powder) and with a choice of two finishes, we would definitely suggest having a browse over on their site. This is a company that do what they love and love what they do, and this really does show in the final product. 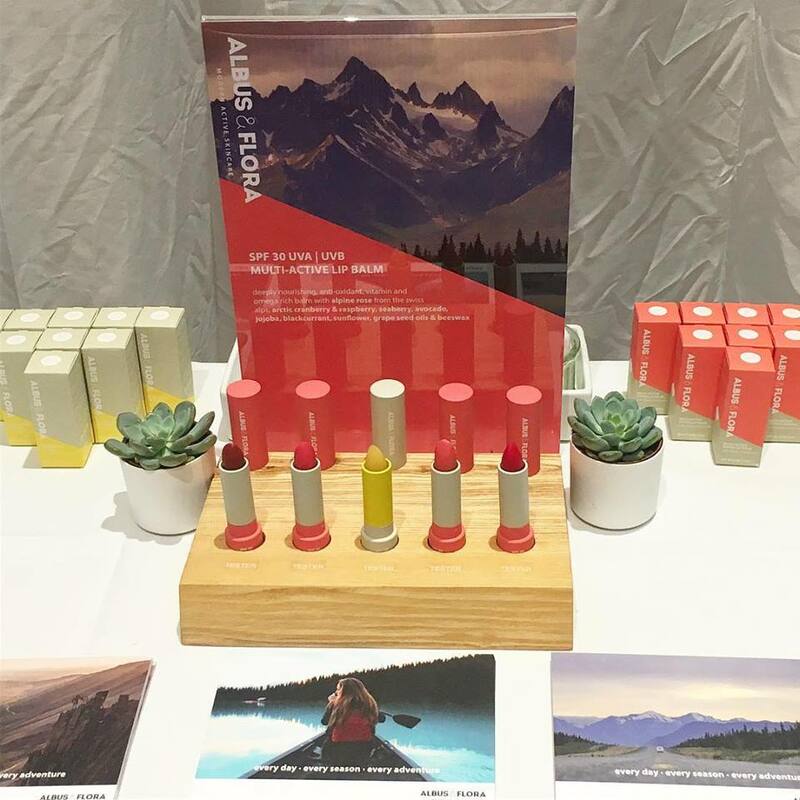 Inspired by mountain plants that thrive in both hot and cold conditions, Albus & Flora have developed a range of lip care that is perfect for active ladies that love the outdoors. While on the slopes, we remember we need sun cream to protect our skin and goggles to protect our eyes, but all too often, we neglect our lips. This is where Albus & Flora come in. The brainchild of scientist Rachel Williams, these balms keep your lips really well protected without feeling too greasy or thick. SPF 30, they protect from both UVA and UVB and have a huge focus on natural ingredients. The influence of the alpine botanicals means that these balms are packed with phyto-nutrients, anti-oxidants and UV protectants, so not only do your lips look great, they feel great too! Designed for use both on and off the slopes, they are available in a range of shades and at only £12, offer fantastic value for money. It goes without saying that we all LOVE the snow. However, climate change is having an undeniable impact on the snowsports community and the effects of global warming are a source of sadness for skiers all over the world. For example, just this month, some European glaciers have been unable to open for the October holidays as they normally would, due to a lack of snow. Jibworx had a great Ski & Snowboard Show, bringing the crowds day after day to their energetic rail jams and what we absolutely love about these guys though is that they are using this platform to campaign for environmental issues. In trying to create an alliance of climate conscious skiers and boarders, Winter Alliance are making very positive steps towards a more sustainable snowsports industry. We are definitely on board and we are looking forward to seeing how Winter Alliance grows and develops. 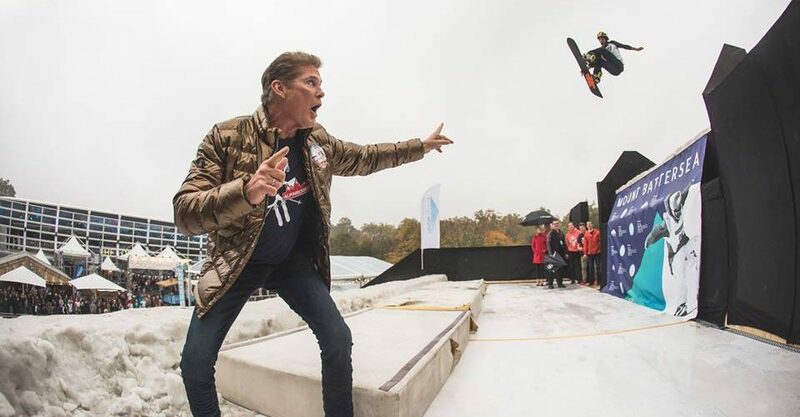 We already can’t wait for next year’s Ski & Snowboard Show but if you do want more info from this year’s show, click here. Main Image Credits – James North.